Sony has announced that Oddworld creator Lorne Lanning is reimagining the first game in the series for its upcoming console. 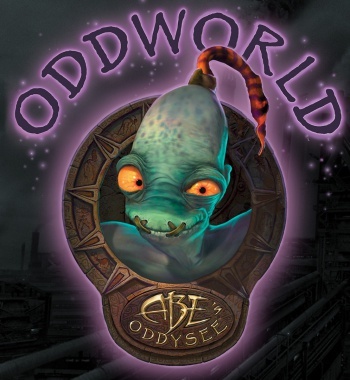 Initially released as Oddworld: Abe's Oddysee on the original PlayStation way back in 1997, the game, now dubbed Oddworld: New And Tasty, is slated to launch either with or shortly after the PlayStation 4's debut. Details on what this new incarnation of the game might add were very scarce during Sony's E3 press conference, but a few scant seconds of gameplay were shown, and the title does appear to maintain the aesthetics of its predecessor while adding modern visual accoutrements. We obviously can't speculate on how the game plays, but based on everything we were shown it appears to be a valid update to the seminal action-adventure title. Expect more info on this title as it develops. We never really know when these companies will opt to drop more details, but Oddworld: New And Tasty seemed somewhat complete, so it shouldn't be too long before its developers spill the beans to somebody with media credentials. We'll bring you more just as soon as that happens.